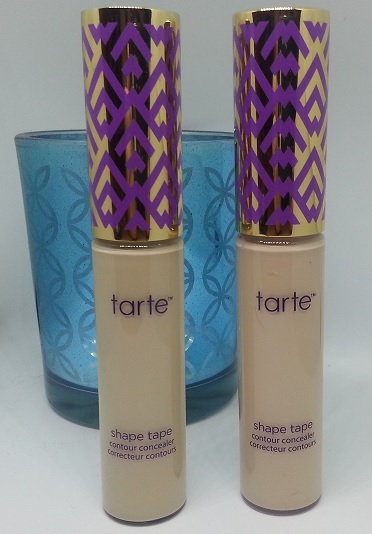 Tarte Shape Tape Contour Concealer. It's all over YouTube. It's all over social media. And I had to get my hands on it. 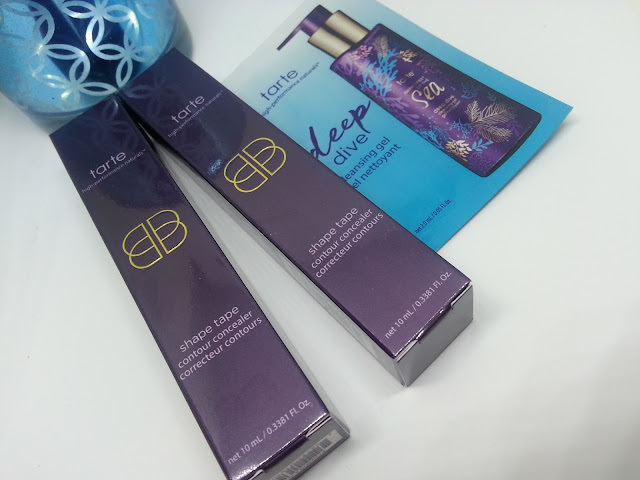 Anytime that Tarte posted that it was available, the shades I needed would be sold out in an instant. Finally, there came a point where they had restocked all of the shades, and it was during their friends and family sale. Which meant there where was a discount on top of it. Plus, ebates was having double cash back. I really couldn't turn that down. 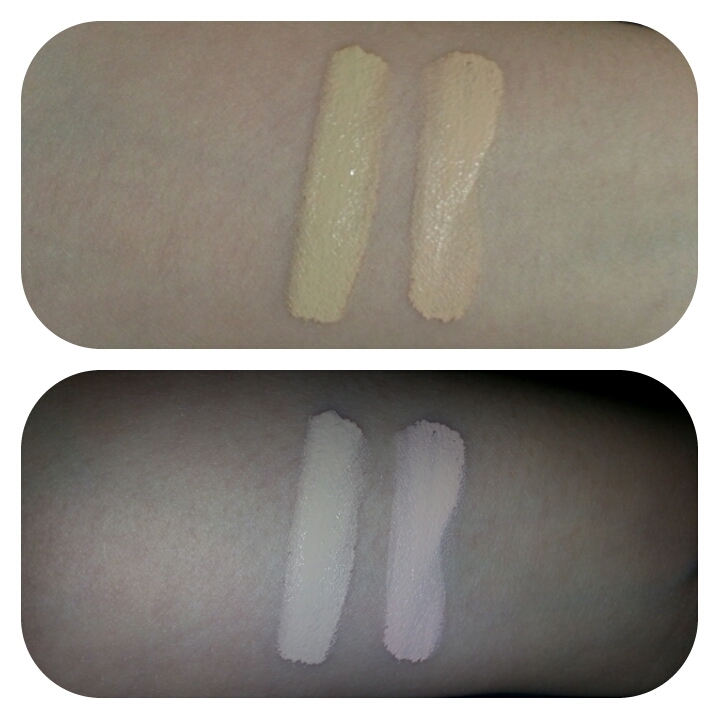 So I ordered two Shape Tape concealers, but in two different shades. Shape Tape Contour Concealer - A vegan friendly, creamy concealer for radiant coverage and contouring. $31 Canadian/$24 USD. Since I'm usually the lightest in every type of foundation, concealer, or powder, I decided to order the two lightest shades. Fair (very fair skin), and Fair Beige (fair with pink undertones), just because I lean more on the cooler side than I do warm. There is a fair neutral in between those two, but I was afraid it would pull too yellow on my pale skin. I was also hoping that fair would be a little more lighter than fair beige because I wanted it to be more of a highlighter than concealer. On the left we have fair, and on the right we have fair beige. This is odd to me because I would think that fair would be a little more pale then fair beige, but fair beige looks a lot lighter! I took a swatch photo. One without flash (top) and one with flash (bottom) and you can see a larger difference in the bottom photo. This is where fair is on the left, and fair beige is on the right. You can see how the fair pulls more yellow, and the fair beige is more pink. This applies nicely, but you do have to be careful because a lot comes off on the doe foot applicator. The applicator is thicker and a little larger than your typical doe foot applicator. 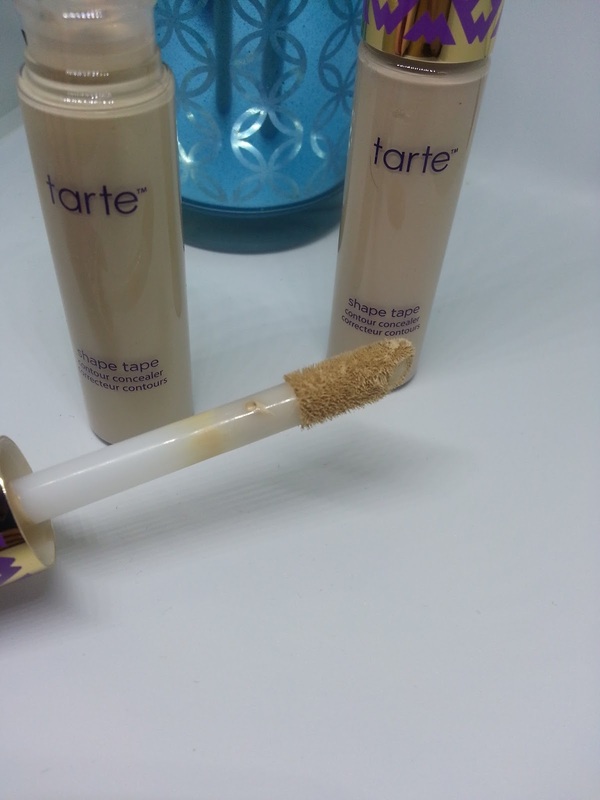 This is definitely a full coverage concealer, but it is not thick and drying. It goes on smoothly, and is very easy to blend out. I sometimes have dry under eyes (no matter how much I try and moisturize, or use an eye cream) and this did not cling to those patches either. This is seriously tied with my Nars Radiant Creamy Concealer that I love. A little goes a long way, and I'm so glad I decided to order this when I did. I was surprised that it ended up qualifying for the friends and family event because it does state on the product page that it does not qualify for promotions or discounts. The regular price of these were $31 Canadian. I was actually debating ordering awhile back, but put it off because it was showing me that it would be $15 shipping for ONE concealer. I couldn't justify the cost. A few days pass, and I received an email stating that the friends and family event would be happening, and it would be 30% off. I took my chances and ordered two shape tape concealers, it discounted them to $20.30 each, AND my shipping dropped down to $7.95. Which I was kind of confused about, why would one concealer be double that amount!? But I'm so glad I ordered them, I wish Sephora would have received them as well though! If you get the chance to pick them up/order them... I highly suggest it!